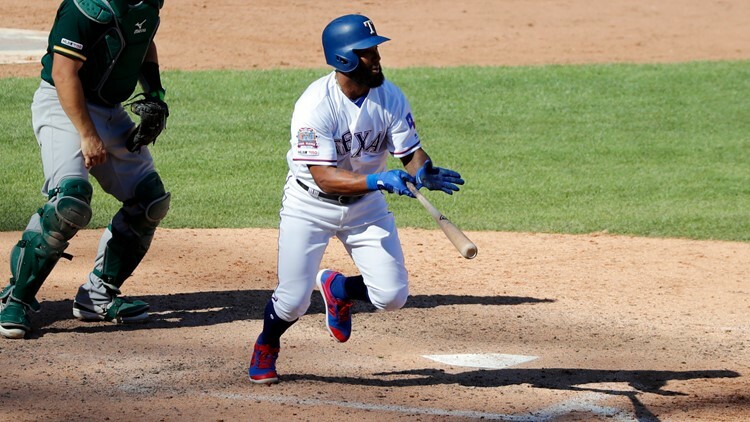 ARLINGTON, Texas (AP) - Danny Santana had a two-run, pinch-hit triple and scored the go-ahead run during a four-run eighth inning, lifting the Texas Rangers over the Oakland Athletics 8-7 Sunday. Texas starter Adrian Sampson allowed seven runs in four innings during his first start of the season after getting an extra day of rest following Saturday's rainout. Sampson moved into the rotation to replace Edinson Vólquez, who's on the 60-day injured list with a right elbow sprain.